The Indian Women’s National Team will be facing the Islamic Republic of Iran in their first match on the opening day of the Hero Gold Cup at the Kalinga Stadium in Bhuwaneshwar. 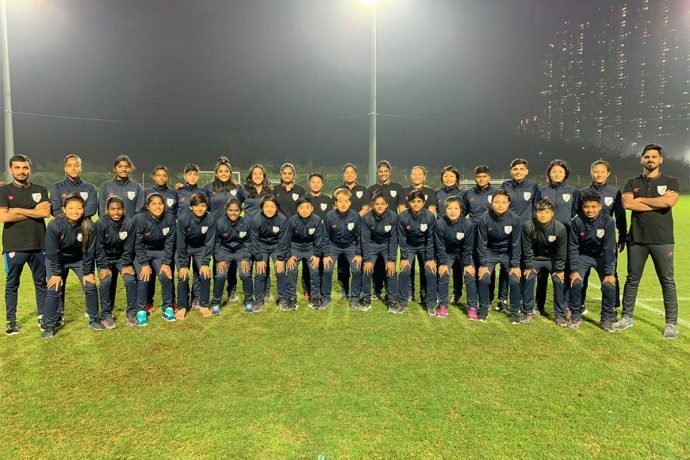 The four-nation tournament, the first such competition for the Senior Women’s National Team in India is being organised by the All India Football Federation (AIFF) in association with the Government of Odisha. Along with India and Iran, the tournament will also feature the Senior National Women’s National Teams of Myanmar and Nepal. For the record, Myanmar are ranked 44 in the FIFA Women’s World Ranking, followed by Iran on 60, and Nepal on 108, while the Indian women, coached by Maymol Rocky, are on 62. “It was a pleasure that AIFF came forward with the proposal for the Women’s Gold Cup. Odisha’s commitment towards sports, and especially promotion of women’s football is well-known. Having hosted a successful Hockey World Cup, the Kalinga Stadium stands ready to welcome the women’s teams for the Four-Nation Gold Cup,” he stated.